In recent years, the external fixator has increasingly proved its value and effectiveness in the prevention of infections after open fractures, and in the treatment of postoperative infections and infected pseudarthroses. 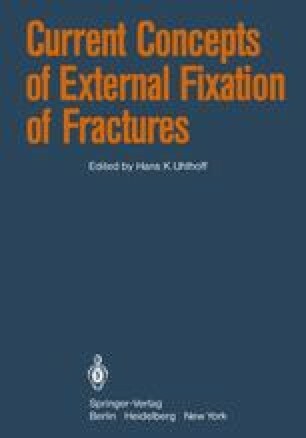 Apart from numerous impressive animal experiments, clinical practice and experience have demonstrated that immobility in the area of the fracture, ie, the stability of osteosynthesis, must be achieved before initiating therapy. It is equally important in the prevention of infection. Obviously, other important measures have to be taken to prevent or control infections of bones and joints. Nevertheless, stable fixation of the fracture is imperative.